IPSOFACTO makes it their business to establish beneficial relationships with other companies, and San Francisco’s Cisco Meraki is no exception. Founded in 2006, Cisco Meraki is a force to be reckoned with in the world of wireless internet solutions, from routers to access points. Their innovative vision for the IT field has extended to allow their portfolio of devices to be centrally managed from the cloud. 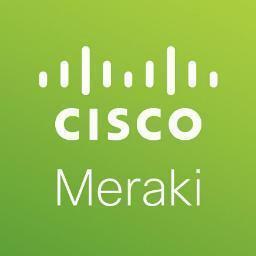 This allows the user’s Meraki infrastructure to be managed from anywhere- made possible through use of the mobile app. This easy-to-use mobile dashboard allows the user to monitor the infrastructure, track the network’s status and usage, and even receive notifications in the event of a network outage! This level of connectivity and absolute network control is unheard of, but Meraki has made it their standard. In addition to being more user-friendly, this new network design dramatically reduces operating costs. Cisco Meraki’s wide range of available devices include security cameras, mobility solutions, wireless routers, and security systems, each one auto-updated with new features regularly. What’s more, Cisco Meraki has extended its reach beyond the US borders, with more than 140,000 customers and 2 million network devices worldwide. Their exceptional IT systems have been installed in places like Germany, Belgium, England, Japan, and Costa Rica, to name a few. Large for-profit corporations aren’t the only ones benefiting from these products either; Cisco Meraki is a proud supporter and supplier of IT solutions to charity organizations like the Make-A-Wish Foundation, operating at an impressive 62 chapters nationwide. From The National Gallery to MIT, Cisco Meraki continues to provide excellent IT support from their San Francisco headquarters. For these reasons and more, IPSOFACTO is extremely proud to be partnered with Cisco Meraki in providing a superior IT experience to our customers. Cloud networking is a huge step forward for enterprise networks in efficiency and capacity, and thousands of companies are moving toward this new networking system. Renowned IT supplier that it is, IPSOFACTO couldn’t be more honored to be partnered with Meraki, the recognized leader in cloud networking. 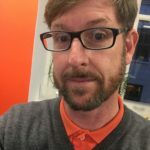 The fact that these two network providers are both based in San Francisco only strengthens this partnership; the United States’ west coast is widely considered to be the networking and technology capitol of the country, with IPSOFACTO and Meraki boldly acting as networking pioneers, leading us into the future.